Former L.A. Schools Superintendent, Vice Admiral David L. Brewer III Spearheads NBCI Education Initiative. Watch the entire series of videos on the NBCI "Breaking the Cycle" media pages. Articles related to "Breaking the Cycle of Ignorance, Poverty and Crime"
NBCI is proud to present Vice Admiral Brewer’s comprehensive education model. NBCI joins The National Academy Foundation in educating Black High School students across the United States. The National Black Church Initiative is excited to inform you of a new partnership between the National Black Church Initiative (NBCI) and the National Academy Foundation (NAF). The objective of this partnership is to improve opportunities for our young people, especially our young African-American black males. We are trying to prevent drop out among our boys by providing them with a more exciting and engaging educational opportunity that NAF offers. Through the National Black Church Initiative’s Comprehensive Educational Framework, the black church acknowledges with the changing environment in methodological approaches, resources, and technology come the need to embrace innovative and culturally-relevant education and research- focused models. Particularly, for the next 50 years, such demands require an inclusive approach to ensure the African American community implements a plan to surpass performance expectations. The plan will offer standards for public and higher education purported by the church to ensure school age children and aspiring young adults have access to the quality education and opportunities. 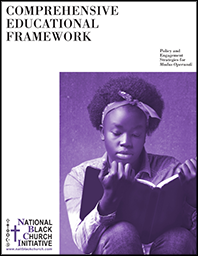 The National Black Church Initiative’s Comprehensive Educational Framework is an expansion of the documented work already began through this initiative. 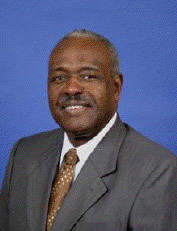 Thus, using policy and engagement-centered measures as informed by the included documented work, the National Black Church Initiative strategically will implement diverse efforts in the National Black Church Initiative’s Comprehensive Education Framework to address and (re)dress issues affecting African American with regards to education at primary, secondary, and higher education levels. The National Black Church Initiative has engaged in various programmatic activities prioritizing the importance of primary education for preparing children appropriately to be competitive in schools. Some of those activities include collaborative efforts with Florida State University and the establishment of the Childhood Advocacy and Development Institute. Through these activities, the National Black Church Initiative is identifying best practices for establishing the foundational standards of the children and families in the congregations served. 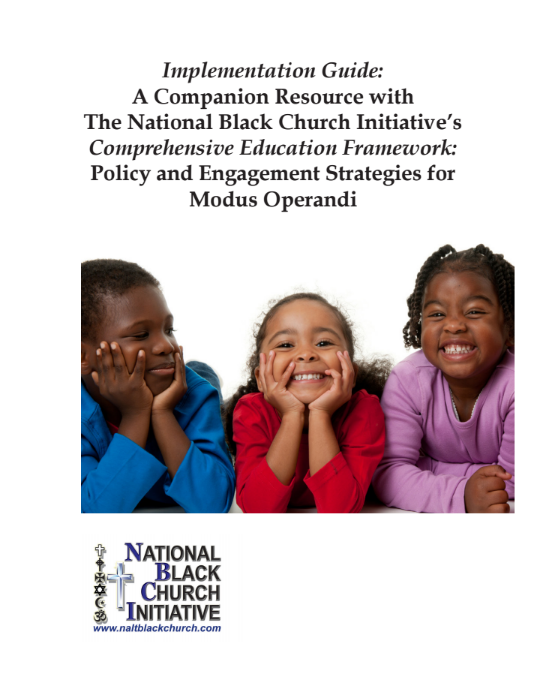 We are so pleased to have you review The Implementation Guide: A Companion Resource with the National Black Church Initiative’s Comprehensive Education Framework: Policy and Engagement Strategies for Modus Operandi (2016). The implementation guide offers a unique opportunity to gain more insight into how the Black Church will reaffirm its public and moral voice within matters of African American education. Together we can make a difference in the lives of African Americans and the broader society, as the fundamental imperative remains to engage more strategically public schools and institutions of higher education. The National Black Church Initiative, a faith-based coalition of 34,000 churches comprised of 15 denominations and 15.7 million African Americans, is proud to premiere our NBCI Education Initiative in collaboration with Vice Admiral David L. Brewer III entitled Breaking the Cycle of Ignorance, Poverty and Crime - A Marshall Plan for the Public Education of Disadvantaged Youth. Our kick-off event on March 16th, 2011 was extremely successful and we are in the process of soliciting partnerships to strengthen the impact this necessary program. Our Education Initiative advocates a proven community-based, holistic, full-day, 50 week Pre-Kindergarten (Pre-K), starting at two years old to post-secondary college graduation or degreed career technical training model, and a comprehensive prisoner education program. Holistic entails a whole family approach, wherein we also account for all of the adverse socio-economic factors impacting student achievement and family structure. In addition to rigorous, full year academic and enrichment programs, the community must become an integral part of the solution and provide the families with centralized social services, healthcare, parent leadership, education and job training, enhanced community center services, travel, full summer programs, and comprehensive prisoner education and training programs. and other well researched and proven programs. These programs have produced some impressive results. 77% college graduation rate for a predominantly low income, African-American student population. This percentage is higher than the national average of 57% and higher than ALL ethnic groups' national averages which are currently 42% for African Americans, 67% for Asian Americans, 48% for Hispanics and 60% for Whites. Approximately 52% reduction in neighborhood crime. Prisoner education - 196 men have graduated with a bachelor's or associate's degree. Of these, 41 have been released from prison with zero returning. Rev. Anthony Evans, President of NBCI says, "NBCI is immensely proud to present a comprehensive educational approach which addresses the social and academic factors affecting dropout rates among African Americans. We believe that Vice Admiral Brewer's approach addresses the stubborn obstacles undermining African-American achievement. We believe this is the magic bullet.